Flower Seller. July 2017. A flower seller prepares to ride her flower-packed scooter in Hanoi, Vietnam. 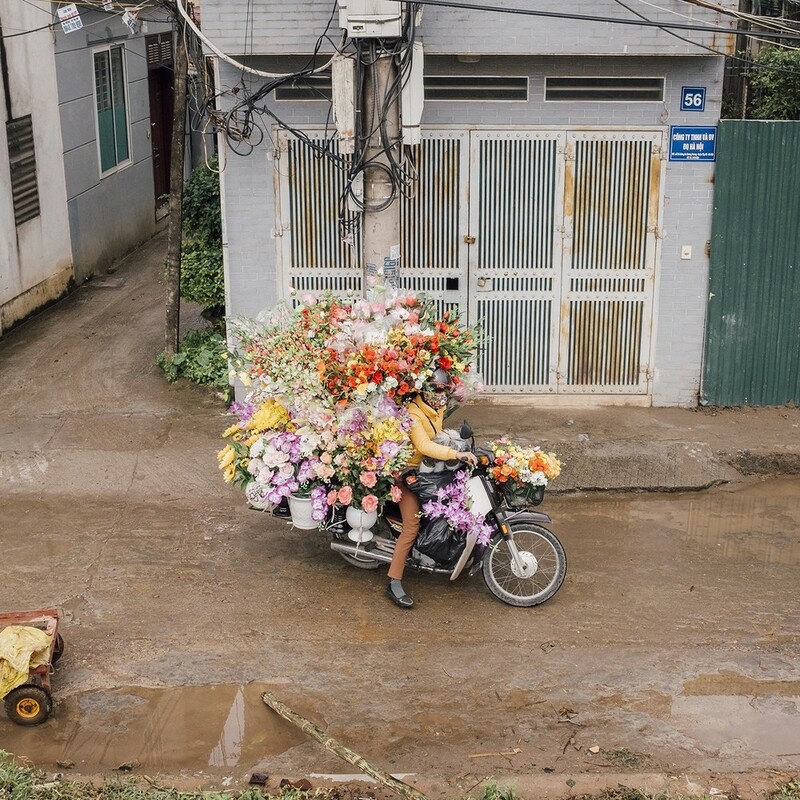 Vietnam is a rapidly developing nation, and the flower seller is symbolic of the tension between industrialization, modernization, and human ingenuity. Grand Palace, Bangkok. The Beauty of Bangkok. September 2017. A writer who has traveled to Bangkok repeatedly seeks to get to know the bustling city by finding new ways to wander in it. What he finds under the sprawling, intense, sometimes frustrating, always exhilarating, timeless, thoroughly modern city is a sense of Thai pride and heritage. 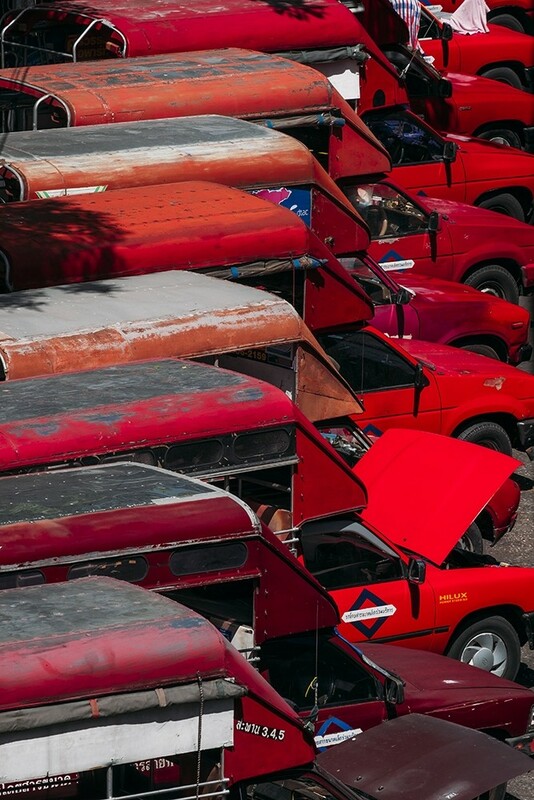 Row of Songthaew taxis, Bangkok. The Beauty of Bangkok. September 2017. A writer who has traveled to Bangkok repeatedly seeks to get to know the bustling city by finding new ways to wander in it. 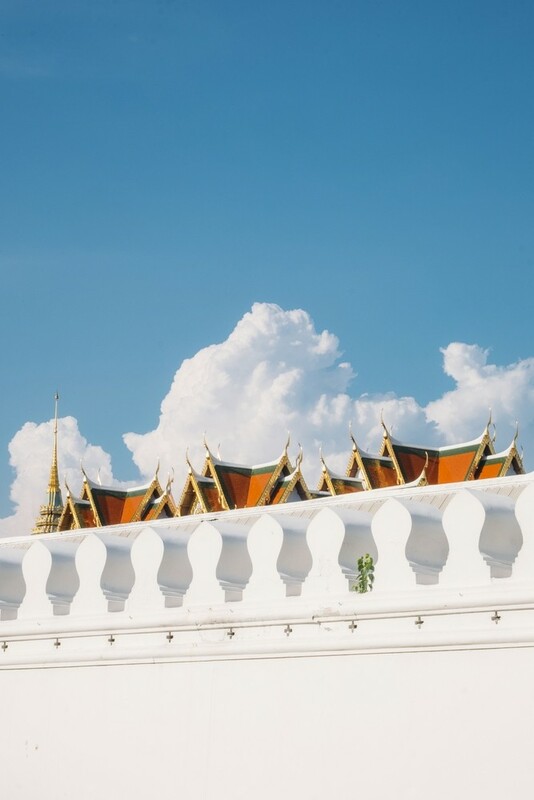 What he finds under the sprawling, intense, sometimes frustrating, always exhilarating, timeless, thoroughly modern city is a sense of Thai pride and heritage.